From Major League Baseball's inception in the 1880s through World War II, team owners enjoyed monopolistic control of the industry. Despite the players' desire to form a viable union, every attempt to do so failed. In the mid-1960s, star players Sandy Koufax and Don Drysdale staged a joint holdout for multiyear contracts and much higher salaries. Their holdout quickly drew support from the public; for the first time, owners realized they could ill afford to alienate fans, their primary source of revenue. 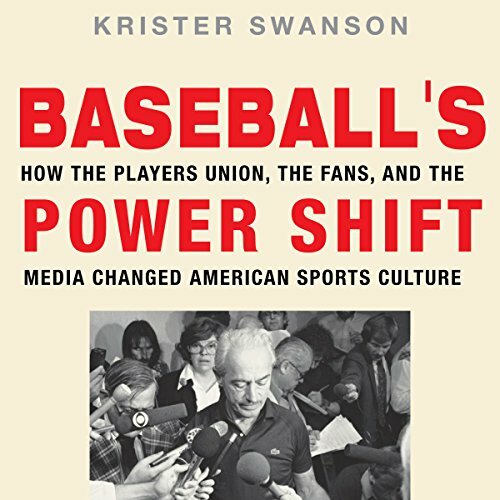 Baseball's Power Shift chronicles the growth and development of the union movement in Major League Baseball and the key role of the press and public opinion in the players' successes and failures in labor-management relations. Swanson focuses on the most turbulent years, 1966 to 1981, which saw the birth of the Major League Baseball Players Association as well as three strikes, two lockouts, Curt Flood's challenge to the reserve clause in the Supreme Court, and the emergence of full free agency. Excellent work, well worth reading. Detailed and well written, this work provides insight to the development and struggles of management and labor relations throughout the history of baseball, tackling a potentially dry subject in an interesting fashion. I would recommend this book to anyone wishing to learn not just the history of baseball labor relations, but the interplay of business, litigation, negotiation and public opinion. Well done!